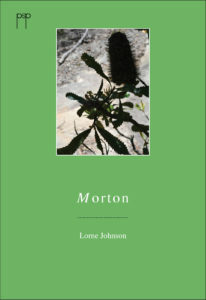 Lorne Johnson’s close visceral connection to the flora and fauna of the Morton National Park, south of Sydney near his home in Bundanoon, gives breath to every page of this elegant chapbook. His poetry touches the ground lightly, in fleeting avian fashion, while his keen, bird-like senses miss little, whether with the photographers eye or the poet’s ear. and spirals of light and insects. The air tasted of minted salt. If you live in the bush, you need this poetry to parse and proclaim your connection to the sights and sounds around you. And if you live in the heart of the city, you really need these poems, and you need them now. Lorne Johnson (born 1972) lives in Bundanoon NSW. His poetry has appeared in many publications including Australian Love Poems, Prayers of a Secular World, Eclogues Newcastle Poetry Prize Anthology 2007, Meanjin, Island, Famous Reporter, Wet Ink and Mascara Literary Review. He has been teaching English in Catholic secondary schools since 1995. A keen birder, he hopes to one day spot a Masked Owl in Morton National Park.